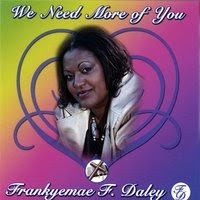 With a Caribbean & American Jazz flavor, FrankyMaye Daley brings a fresh sound to the music scene. Originally from the Bahamas, she now resides in South Florida with her family. Experience the influence of the Caribbean & American culture in her jazzy delivery. We need more of you is the Name of the Album.